Today, Burns is unique in the affection and fascination that his memory inspires. The fruits of his legacy can be seen not only in Scotland but around the world — on product packaging, in advertising and on a wealth of merchandise, as well as through continued scholarship and academic study. Letters, poems and books are not the only material relating to the poet which the National Library of Scotland holds in trust for the nation. 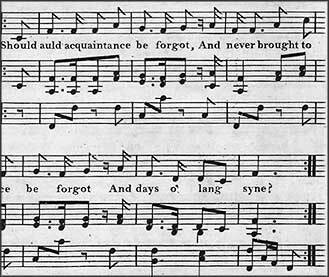 Songs by Burns also form part of the Music Collections. 'Scotland's Bard' — images relating to the poet, his work and the people and places in his life. Songs and poems online, an encyclopedia, useful links, and much more. The site for the heritage park which has Burns Cottage at its heart and a modern museum to enjoy. Find details of manuscripts, books, art and artefacts associated with Robert Burns that are held by organisations across Scotland as part of the National Burns Collection. Burns and Burns-related texts held by the university include letters, translations, and collections of essays. By 1986, it was estimated that over 2,000 editions of the poetry of Burns had been published since the first one appeared at Kilmarnock. That makes an average of 10 a year over the intervening centuries.